Ricky Dicus Obituary - Newport, Arkansas | Jackson's Funeral Homes Inc. This Book of Memories memorial website is designed to be a permanent tribute paying tribute to the life and memory of Ricky Dicus. It allows family and friends a place to re-visit, interact with each other, share and enhance this tribute for future generations. We are both pleased and proud to provide the Book of Memories to the families of our community. On Saturday June 10, 2017, our all-knowing and all wise God, called our father, brother, uncle, and friend Ricky Lee Dicus Sr. home to his eternal rest. He was born February 2, 1964 in Newport, Arkansas to the late Lorene and Allen Dicus Sr.
Ricky attended Newport Public Schools and graduated from Newport High School in 1982, where he was a standout athlete, playing both football and baseball. Ricky went on to Arkansas State University where he also played baseball. After which, he enlisted in the United States Navy, and served his country for four years. he was a dedicated employee at Cox Communications for fifteen years, where he forged many lasting friendships. Ricky was comedic, friendly, loving, charismatic and outgoing. He was an incredibly fun-loving person who always seized the opportunity to make you laugh and share life’s stories. Ricky was passionate about his friendships. His love for his son, Champ, was unparalleled and he used every chance given to teach him valuable life lessons. He enjoyed socializing, cooking, playing and watching sports, especially his beloved Razorbacks. Ricky was preceded in death by his brothers, Bobby and Wesley Dicus. 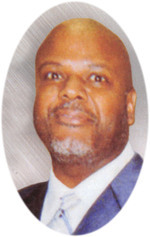 He leaves to cherish his memory, his son Ricky Lee Dicus Jr. (Champ); three sisters, Ida and Brenda Dicus of Little Rock, Arkansas, and Cora Harris (Hubert) of Newport, Arkansas; four brothers, Allen Dicus Jr.(Brenda) of McCrory, Arkansas, Lonnie Dicus (Becky), Charlie Dicus, and Danny Dicus all of Newport, Arkansas, a very special friend Patty Taylor, and a host of nieces, nephews, other relatives and friends. Memorial services will be held at Jackson’s Newport Funeral Home Chapel on Saturday, June 24, 2017, at 2:00 p.m. Visitation will follow the service.